Every November the American Geographical Society holds its flagship Fall event, the Geography 2050 symposium. Designed to be a multi-year strategic dialog on the trends that will affect the planet in 2050, the theme for 2017 was the Geography 2050: The Future of Mobility. In the Geography 2050 sequence, we envisioned the world of 2050, then focused on the inter-related topics of urban growth, sustainability, mobility, and next year will be energy. For each event we assemble a highly curated set of sessions and speakers that combine a geographic perspective with the academic, government, and business communities in a way that no other event replicates. The Future of Mobility event continued this trend, and the quality of sessions may have even exceeded previous years (kudos to the Dean Wise, AGS Councilor and the conference chair). It was hard not to leave the conference amazed at the pace of change in the mobility sector, and how close this next wave of technologies is to fundamentally changing how we are spatially organized. Videos for the sessions are being finalized now, and I’ll update when they are complete (see the Program here). Below are a few of my takeaways from the conference (and since I’m not an expert in mobility and transportation, I learned a tremendous amount from the sessions). Clearly electric vehicles are already here, but when combined with longer battery life, increasing levels of automation, and “transport as a service” business models, the economics of automobile ownership and utilization change dramatically. The impact of this change on individual behavior and public planning for infrastructure leads to some widely divergent models that swing between transport utopia and massively underfunded public transportation. And this does not account for the potential of automated trucking and freight transport. We are already on the cusp of these changes, and even some of the best minds in transportation planning don’t really know what is going to happen in the next 10 years…let alone the 33 years till 2050. Vertical take-off and landing (VTOL), flying cars, and other personal “jet pack” devices are becoming a reality. At this point, each of these are still piloted by humans, but clearly have the potential to become more and more autonomous (or remotely piloted). The already stressed regulatory environment for simply figuring out how to handle “beyond line of sight” human-flown drones, is going to be incredibly burdened as autonomous package delivery, flying taxi service, and personal VTOL devices become more common. The domestic and international airspace management regulations are incredibly complex, and accommodating these new forms of transport will be a generational challenge. Hyperloop…wow…paradigm shift in the making. The potential of this technology is so absolutely incredible, it is truly difficult to appreciate the implications on human society. If we have any political will to accomplish great things left in this country, we should move as fast as possible towards Hyperloop. America’s bet on the automobile has been an incredible benefit to our society, and yet it has also locked us into a transport paradigm that is strangling our cities. From everything I saw, Hyperloop is the only technology that could fundamentally change the equation. 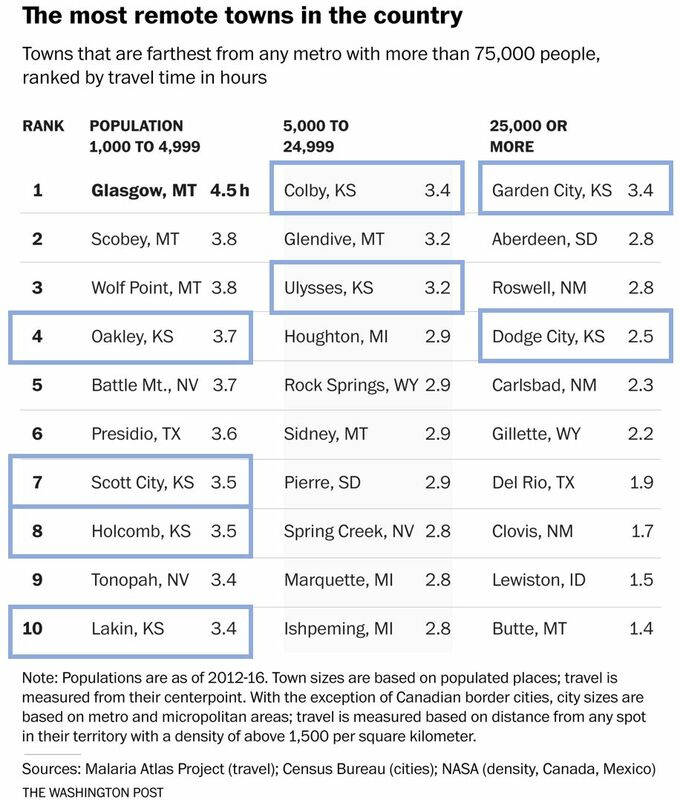 The sheer speed that it travels will make disparate cities the same travel time away as current metro stops. To view some of the proposed Hyperloop routes and travel times between stops, check out the winners of the Global Route Challenge…with interactive maps. On a personal level, this year was the first time that I’ve participated in Geography 2050 as an AGS Councilor (I spoke at the first event in 2014 before I joined the AGS Council). Having known and studied under Dr. Dobson since his arrival at the University of Kansas in 2001, I have been long steeped in AGS and its proud traditions. When Chris first proposed AGS 2.0, and started to invite new Councilors, I knew I wanted to be part of bringing new energy into the Society. What I bring to AGS is an expertise in geographic information science and technology. Building on that background, my goal as a Councilor is to ensure AGS continues to be at the fore of geographic technology, and that the Society begin to formally recognize the contributions of those who are responsible for powering the “geospatial revolution”. Over the last 20 years geographic technologies have revolutionized our society (Global Positioning Systems, high resolution satellite imagery, in-car navigation, interactive web maps, etc…), and it is important that the Society formally acknowledge those in government, industry, and academia who contributed. To that end, the 2017 edition of Geography 2050 marked the first attempt to do this. I believe there are many people who deserve to be honored for their contributions to the post-millennium explosion in digital geography, so nominating the right people had to be a mix of contributions and applicability to this year’s 2050 theme of mobility. Given that combination, it was clear that Brian McClendon and John Hanke were the right choices to nominate for the AGS O.M. Miller Cartographic Medal. I made the nomination, and the AGS Vice President and Chair of the Awards committee, Deborah Popper, wrote up two wonderful award letters that were read at the ceremony. 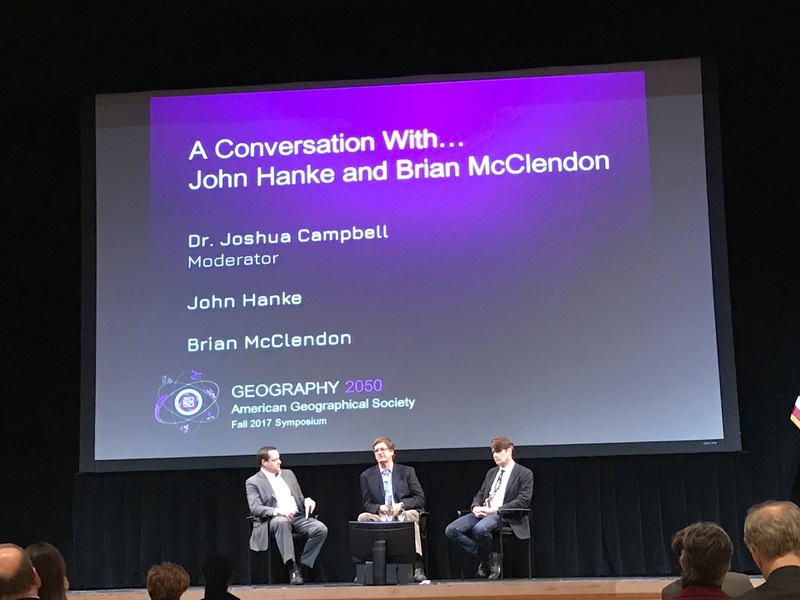 In addition to the award, both Brian and John were kind enough to participate in a Geography 2050 session, which was formatted as a conversation with them. It was an honor to moderate this session, a job that required I ask a couple opening questions and then get out of their way. I don’t get anxious speaking in front of crowds often, but have to admit, this one was a bit nerve-racking. But ultimately I think the session went well, and there was a lot of great feedback. The goal of my questions was to first look back on their Keyhole / Google Earth experience, using it as a historical lens to view current trends. Then to discuss trends in autonomy and augmented reality that are affecting mobility. Co.Design (a Fast Company subsidiary) wrote an article on the session that has more detail. I’d like to thank both of them personally for taking the time out of their schedules to come to New York to accept the AGS Miller Medal and participate in the panel. I certainly learned a lot, and feel that as AGS, we are off to a good start in honoring the pioneers of the modern digital geography movement. If interested in additional information, Trajectory Magazine recently published an article on the history of Google Earth that provides great background on the evolution of the technology, and its role in the national security context. Earlier this summer, I was asked by a colleague at the Graduate School of my alma mater, the University of Kansas, to contribute content for their Grad Paths newsletter. The goal was to describe my work, post-degree, and provide advice to current grad students. It was an interesting exercise to concisely describe my work to a non-geography audience, and in a context of what I think is important for current graduate students who want to pursue work outside the academy after graduation. Below are the questions and my responses. I am an applied geographer that specializes in geographic information science and technology. Through Sand Hill Geographic, I provide consulting and technical services to organizations that are trying to better utilize the geographic dimensions of their information. Being in Washington DC, I try to work at the intersection of the national security, diplomatic, and development communities. In the last eight years I’ve been a Geographer at the U.S. Department of State, an executive at a geospatial software startup, and now run my own consulting business. I’ve worked on projects related to several U.S. Government agencies including the Department of State, Department of Defense, U.S. Agency for International Development (USAID), as well as the World Bank. • For USAID, what is the spatial extent of a drought and how do we preposition relief supplies to deliver aid? Where are all the buildings in an area with an on-going malaria eradication program, and how can we plan to spray all the buildings? • From a national security perspective, how can we discover, monitor, and predict threats? This can range from mapping the movements of foreign militaries to the spread of Ebola. The ability to anticipate threats gives policy makers a decision advantage. Geographic technology, spatial analysis, and increasingly human geography, are valuable tools for our national security analysts. • For the World Bank, the goal is to make financial investments that will reduce poverty and increase equality. In order to prioritize investments, fundamental questions about a country’s exposure to natural disasters, and their related disaster risk management plans, are required. Mapping risk and measuring the impacts of financial investments on that risk are key metrics for evaluating a program’s effectiveness. In all these cases, I help build workflows that focus on the geographic elements that provide insight to these questions, and construct technical systems to collect, analyze, visualize, and share data and analysis products. Often the technical solutions are very similar, but their implementation into various bureaucratic institutions is very different. The need for quality geographic data to use in these systems is a common requirement, and is often lacking. To address this problem, I helped create MapGive, a crowdsource mapping initiative at the State Department designed to catalyze open geographic data production to support the humanitarian, development, and disaster risk reduction communities. This project has supported open mapping efforts all over the world, and has played a significant role in many large natural disasters and humanitarian emergencies. My graduate school experience provided the academic training and applied research in Geography, Geographic Information Systems (GIS), and Remote Sensing, that form the core of what I do today. I came to DC well equipped to do the work. What is your favorite aspect of your job/career? My favorite part of this work is simply the huge array of issues that can benefit from the application of geographic knowledge and technology. The explosion in geographic technology means we have an ever-expanding array of tools to collect, analyze, visualize, and share data and analysis. These are essentially new vectors for doing what geographers have always done…derive new insights by utilizing a spatial perspective. The work is never boring. What advice do you have for current graduate students? Graduate school is grueling, and often takes a toll on students. Focus on the goal of completing the thesis or dissertation, and work to integrate writing into your life systematically. Realize that getting the PhD is actually the start of your career. If you want to be a practitioner in your field, spend time outside the academy. Take the internship with an agency or company. It is critical to get real world experience. Often you’ll find you have more than enough academic knowledge to do the job, but you lack the social network, understanding of bureaucracies, or funding mechanisms that are required to turn that knowledge into policies or projects. This experience will not only make you more effective, it can provide a unique kind of confidence when you return to school, that you can and should finish the degree. This year’s Free and Open Source for Geospatial (FOSS4G) North America event was held in Raleigh, NC between May 2-5, 2016. Attendance increased by 150+ over last year, bringing the total to over 550 registrations. While typically a developer conference with technical software presentations, recent years has seen an increase in participation (both attendance and presentations) from the user community. This year continued that trend, and the agenda included a wide array of topics. In addition to good facilities and well run logistics, the program committee did an excellent job curating the presentations; nearly all of the sessions I attended were appropriate content and well delivered, a feat for any conference. A full list of the attended sessions I attended is in the table at the end of the post. Below are some of my takeaways from the conference, categorized into three general themes: Tools, Data, and Visualization. It is clear that open source software continues to mature, and when combined with new deployment technologies like Docker containers and cloud, it is a fundamentally different world than a few years ago. This is clearly not a ground shaking statement, but the speed by which anyone can go from zero to a cloud-deployed, scalable geographic computing infrastructure is amazing. Machine Learning is everywhere. Granted I haven’t used ML approaches in a few years, but my concern is that simpler approaches of statistical modeling are being overlooked just to use the big, new shiny thing. The underlying assumption with ML is that all problems are solved best through inductive methods, which potentially discounts the wisdom of domain expertise. ML is obviously very powerful when lots of data is available and should be part of the modelling toolkit, but it’s not a magic bullet and mis-applications are going to become more common. Using TensorFlow or the other new algorithms doesn’t fundamentally change the need to understand how statistics and modeling works, and modelers need to be aware of the full range of statistical tools. On the Natural Language Processing (NLP) and geocoding side, GeoParser could be key bridge between the document open data and geospatial open data communities. Combining tools like Apache Tika, Stanford NLP, and Gazetteer lookup means there is a single toolkit with the potential to geocode any document. Clearly geocoding results here are limited in success to the quality of the gazetteer, but the processing pipeline is interesting. The Geo Big Data processing tools continue to mature and are even starting to converge on the use of underlying libraries and database. This collection of tools includes GeoWave, GeoTrellis, GeoMesa, GeoJinni. Personally I’m interested in the use of GeoTrellis for high-performance raster modeling. Sensors are expanding everywhere: agriculture best example of persistent, integrated data collection across sensors (imagery, lidar, IoT) and application into “smart” devices (self-driving farm equipment and custom planting / harvesting strategies). OpenSensorHub can be used to integrate various feeds, thinking of applications with automated hydromet, weather, and seismic stations, as well as other crowd reported data feeds. Remote Sensing is still hard: massive imagery catalogs only further expose fundamental remote sensing issues on analysis (orthorectification and image-to-image registration, atmospheric effects on spectral reflectance); drones and kites driving new photogrammetric toolkits; the cool kids are yet to fully catch on to these challenges. OSM ecosystem continues to deepen and expand: Portable OpenStreetMap, or POSM, is a nice tool for enabling disconnected editing in austere environments. The upgraded HOT Export Tool is a key part of exporting the initial datasets used for the process. The critical question is how to get data back into OSM. Currently all edits are manually reviewed, using an interesting queuing mechanism that maintains individual changesets, and then uploaded using an import account. The question is how will the method scale when remote mapping is occurring at the same time as field mapping, the potential disconnect between edit histories of the disconnected branch can and will be an issue. Vector tiles is driving more client side rendering. Mapbox obviously leading the way here, but Boundless now supporting vector tiles in GeoServer and OpenLayers. Seamless 2D/3D visualization: Cesium is everywhere, TerriaJS interesting library to add better visualization on top of spatial data catalogs; USGS/NASA GIBS adding atmospheric data slices into dense imagery catalogs. When do we get 4D tiles and/or tiles with multiple versions of the same dataset? Convergence of ground based and aerial based views: “painted” 3D models from photogrammetric extraction combined with Mapillary type imagery; farm management using ground and aerial lidar clouds. Each of the links below go to the FOSS4G session page, many of which have links to the slidedecks and in the coming weeks will have the video recording of the presentation. The US National Spatial Data Infrastructure: Where do we go from here? In the next post, I’ll cover the workshop section of the conference. The Ito World crew is back at it with a new OpenStreetMap visualization, this time for Africa. Results are shown at the continental scale and for selected cities over the last couple years. The final product is stunning, as usual. Thanks to a generous last-minute donor, we made the $2,000 goal. Thank you to everyone who helped out, with your donations we are going to be able to diaper 2 children for an entire year. Fantastic stuff, gratitude all around. While a departure from the typical content on this blog, I hope you’ll spare a moment to read about a fundraising effort my wife and I put together for a cause that has grown near and dear to our hearts, the difficulty many mothers face diapering their children. It is stunning that in this country up to 30% of mothers struggle to meet the diaper requirements of their children…30%. This stress is the leading cause of mental health problems in new mothers. And to make it worse, there is a hole in the social safety net. Traditional support programs for low-income mothers and families (WIC and SNAP) do not cover diapers and wipes. Recent stories in The Atlantic and the Baltimore Sun cover the “diaper dilemma” problem in detail. This problem has led to the creation of “diaper banks” around the country, including the DC Diaper Bank near us in Washington, DC. Hilary and I have been humbled and amazed by having a child. So as our first daughter, Flynn, just turned a year old, we wanted to do something to help out those struggling to diaper their children. 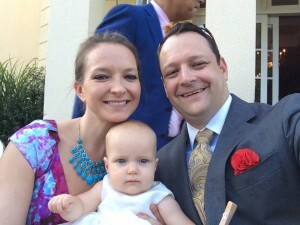 Our goal is to diaper 2 kids for a year, which costs about $2,000. This comes out to about $20 per week for 1 kid. 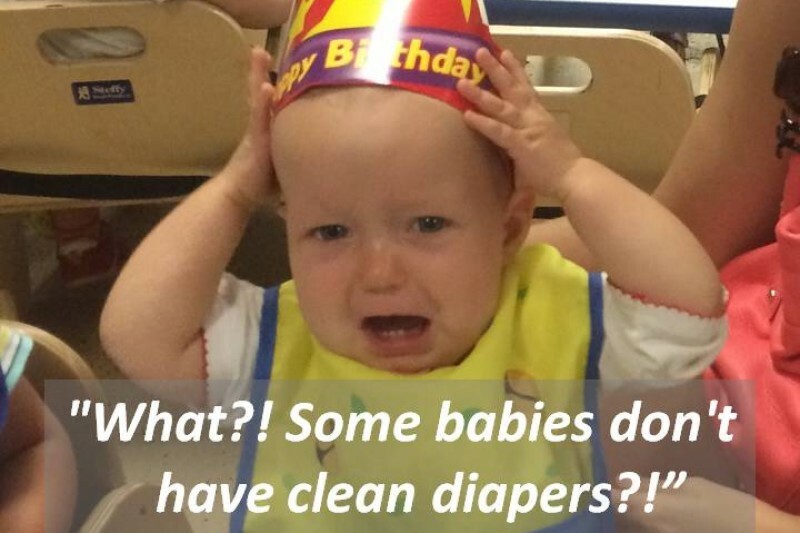 If anyone is interested in helping out, please visit Flynn’s 1st Birthday Diaper Drive page on GoFundMe to learn more about the issue and contribute to the cause. All funds will go to the DC Diaper Bank. Thanks from Flynn, Hilary, and I. It all started with delicious pancakes and a glorified misconception. 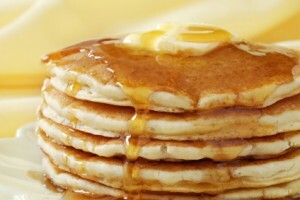 In a 2003 article published in the Annals of Improbable Research (AIR), researchers claimed to scientifically prove that “Kansas is Flatter Than a Pancake” . The experiment compared the variation in surface elevation obtained from a laser scan of an IHOP pancake and an elevation transect across the State of Kansas. And while the researchers’ conclusion is technically correct, it is based on two logical fallacies. First, the scale the analysis shrunk the 400 mile-long Kansas elevation transect down to the 18 cm width of the pancake, thereby significantly reducing the variability of the elevation data. Second, pancakes have edges, which creates some significant relief relative to the size of the pancake, approximately 70 miles (!) 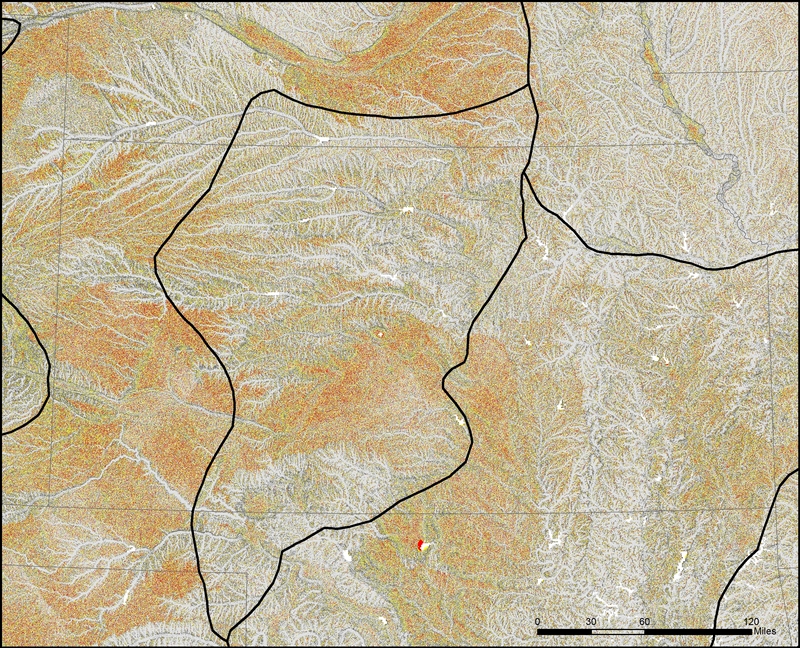 of elevation if applied to Kansas scale (Lee Allison, Geotimes 2003). Using this approach, there is no place on earth that is not flatter than a pancake. Now, I can take a joke, and at the time thought the article was clever and funny. And while I still think it was clever, it began to bother me that the erroneous and persistent view that Kansas is flat, and therefore boring, would have negative economic consequences for the state. I grew up on the High Plains of southwestern Kansas, where there are broad stretches of very flat uplands. But even within the High Plains region there are areas with enough relief to certainly not be considered flat as a pancake…and this doesn’t include the other two-thirds of the state. The joke of it is that the official Physiographic Regions of Kansas Map describes the majority of the state in terms of hills: Flint Hills, Red Hills, Smoky Hills, Chautauqua Hills, Osage Cuestas (Spanish for “hills”). Not to mention the very hilly Glaciated Region of northeastern Kansas, anyone who attended classes on Mount Oread can confirm that for you. And after travelling through other areas of the country, I realized that Kansas isn’t even close to the flattest state. As luck would have it, a few years after the AIR article I found an opportunity to work on this question of flatness and how to measure it. As part of my PhD coursework I was investigating the utility of open source geospatial software as a replacement for proprietary GIS and needed a topic that could actually test the processing power of the software. Combining my background in geomorphology and soil science with a large terrain modeling exercise using the open source stack offered the perfect opportunity to address the question of flatness. 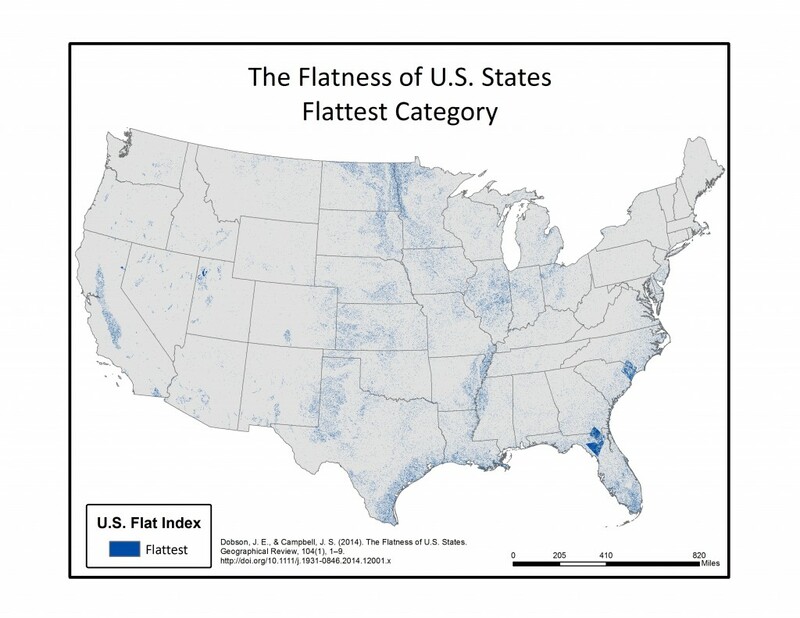 What emerged from that work was published last year (2014) in the Geographical Review as a paper coauthored with Dr. Jerry Dobson entitled “The Flatness of U.S. States” . The article is posted below, so I won’t rewrite it here, but the central goals were twofold. First, create a measure of flatness that reflected the human perception of flat. This measure needed to be based on how humans perceive flatness, quantitatively based, repeatable, and globally applicable. Second, understand how the general population of the U.S. thinks about flat landscapes, and if there was a bias towards assuming Kansas was the flattest state. This blog post focuses more on the details associated with the first goal, while the article posted below has the description of The American Geographical Society’s Geographic Knowledge and Values Survey that provided data for the second. There were many measures of flat that had been developed in the geomorphological literature, but they tended to be localized measures, meant for hydrological and landscape modeling. I wanted something that could capture the sense of expanse that you feel in a very flat place. Beginning with that thought, I tried to imagine a perfect model of flatness. It had to expand in all directions and be vast. The mental model was that of being on a boat in flat seas and looking out at nothing but horizon in all directions. 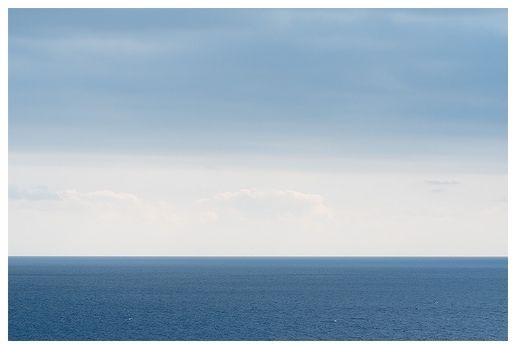 With a little research, I discovered there is an equation for determining how far you can see at sea. It is height dependent, both for the observer and the object of observation, and it calculates that a 6 foot / 1.83 m tall person, looking at nothing on the landscape (object of observation = 0 ft), can see 5,310 meters before the curvature of the earth takes over and obscures view. This was a critical variable to determine, the distance measure for capturing the sense of “flat as a pancake” is 5,310 meters (at a minimum). A conceptual model of flatness. With perception model and distance measure in hand, I needed to determine what the appropriate digital elevation model to use. Even though the study area for this paper is the Lower 48 of the United States, a global dataset was needed so that the methodology could be applied globally. The NASA Shuttle Radar Topography Mission (SRTM) data that had been processed by the Consortium of International Agricultural Research Centers (CGIAR) Consortium for Spatial Information (CSI) was the best choice. 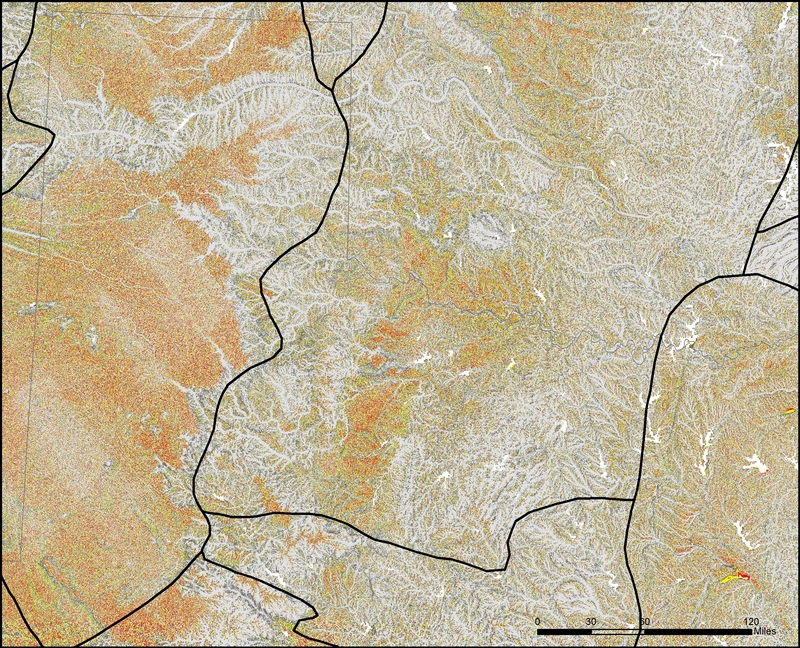 Specifically 90 meter resolution SRTM Version 4.1 was used, and is available here: http://srtm.csi.cgiar.org/. In terms of software, the underlying goal of this project was to use only open source software to conduct the analysis. This meant I had to become familiar with both Linux and the QGIS and GRASS workflows. I built an Ubuntu virtual machine in Virtual Box (eventually switching to VMware Workstation) with QGIS 1.2 and Grass 6.3 with the QGIS plugin; by the time I finished the project I was using Ubuntu 10.04, QGIS 1.8 and GRASS 6.4 (and sometimes GRASS 7.0 RC). You don’t realize how much “button-ology” becomes ingrained until you have to switch toolkits, and the combined Windows to Linux and ESRI to QGIS/GRASS transition was rough at times. There were times I knew I could complete a task in seconds in ArcGIS, but spent hours figuring out how to do it in QGIS and GRASS. However, it is worthwhile to become facile in another software as it reinforces that you have to think about what you are doing before you start pushing buttons. The open source stack has come a long way since I started this project back in 2009, with usability being the greatest improvement. It is a lot easier now for a mere mortal to get up and running with open source than it was then, and the community continues to make big strides on that front. From a functionality standpoint, I did some comparisons between GRASS (Windows install) and ArcGIS 9.2 GRID functions and found that they were very equivalent in terms of processing speeds. It seems there are only so many ways to perform map algebra; note, I discuss the new game-changing approaches to distributed raster processing at the end. The first attempts to model flatness used a nested approach of slope and relief calculations run at different focal window sizes that were then combined into an index score. However, they just didn’t seem to work that well. To start I was only working on a Kansas subset and compared various model outputs to places I knew well. In researching other analysis functions I came across the r.horizon algorithm. Originally designed for modeling solar radiation, it has an option that traces a ray from a fixed point at a set azimuth, out to a set distance, and measures the angle of intersection of the ray and the terrain. Discovering this function changed my whole approach; it automatically incorporated the distance measure and was only concerned with “up” terrain. To model flat, r.horizon needed to be run for 16 different azimuths, each 22.5 degrees apart, to complete the full 360 degree perspective. Additionally it needed to be run for every raster cell. The output was then 16 different layers, one for each azimuth, with the intersection angle of the ray and the terrain. 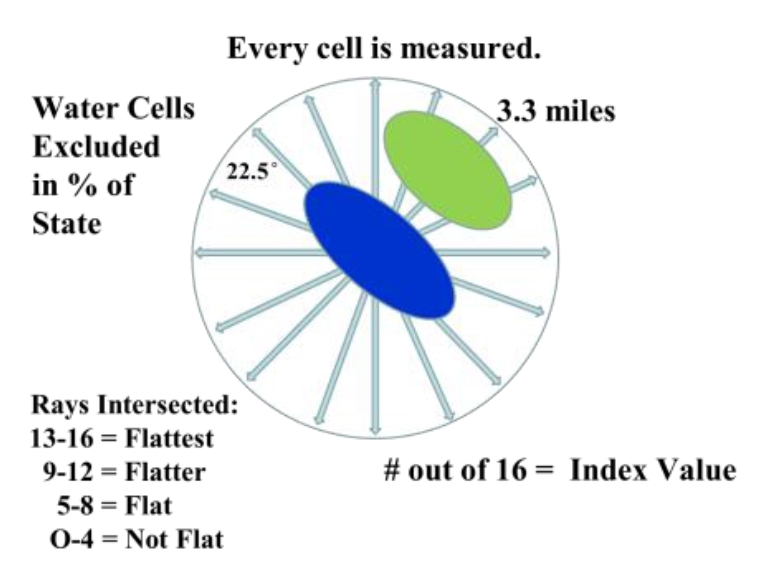 Graphic displays how the Flat Index is calculated for every 90 meter cell, using independent measures collected across 16 different directions. Next I had to determine at what angular measurement flat stopped being flat. 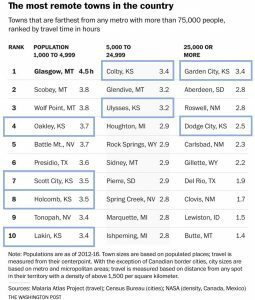 This is a subjective decision and one based on my experience growing up on the High Plains. On a return trip to my hometown I surveyed a number of places to get a feel for what was truly flat and what wasn’t. Upon reviewing the topographic maps of those areas, I determined that an upward rise of 100 ft / 30 meters over a distance of 3.3 miles was enough to stop the feeling of “flat as a pancake.” This correlated to an angular measure of 0.32 degrees. Now this measure is completely arbitrary, and it would be interesting to get how others would classify it. I did review it with a few other western Kansas natives who agreed with me. Note, we were not concerned with down elevation at all. This is because canyons and valleys do not impact the perception of flatness until you’re standing near the edge; anyone who’s been a mile away from the South Rim of the Grand Canyon can confirm that you don’t know its there. Graphic displays the angular measure criteria (0.32 degree) used to make the binary flat/not flat classification. The data processing for this project was massive, requiring downloading all the individual tiles of the SRTM for the Lower 48 (55 tiles, over 4GB in total size), importing (r.in.gdal), mosaicing (r.patch), setting regions (g.region), then ultimately subsetting into four sections because of a bug in r.horizon (r.mapcalc conditional statements), running r.horizon 16 times on every raster cell in the Lower 48 (1,164,081,047 cells), running the cut point reclassification (r.recode), then compiling the final index score (r.mapcalc). Each segment of the DEM took about 36 hours to process in r.horizon, meaning the entire Lower 48 took about 6 days total. In the final step, each of the 16 individual azimuth scores were added together (r.mapcalc) to create a single index score ranging from 0-16 (0 being non-flat in all directions, 16 being flat in all directions). This index score was divided into four groupings, with Not Flat (0-4), Flat (5-8), Flatter (9-12), Flattest (13-16) categories. Zonal statistics (r.statistics) for each state were extracted from the final flat index, also known as the “Flat Map”, to calculate the rankings for flattest state. A water bodies data layer was used as a mask in the zonal statistics (r.mask) so as to eliminate the impact of flat surface water elevations (reservoirs and lakes) from the final calculation. A second mask was also used to eliminate the influence of two areas of bad data located in the southeastern U.S., mainly in Florida and South Carolina. Both total number of flat pixels and percent area flat pixels were calculated and ranked for the flat, flatter, and flattest categories. See the article below for a table of results. Below are a series of maps that display the final Flat Index. The spatial distribution of flat areas is intriguing, with some confirmations and surprises to our initial hypotheses. Interesting areas include the Piedmont and coastal plains of the eastern coastal states, Florida and the coastal areas of the Gulf States, the Red River Valley in Minnesota and North Dakota, the glacial outwash in Illinois and Indiana, the Lower Mississippi River valley, the High Plains region of the Great Plains, the Basin and Range country of the Intermontain West, and the Central Valley of California. A complete table of the state rankings is available in the article, and there are several more zoomed in maps available below. Each image is clickable and will open a much larger version. 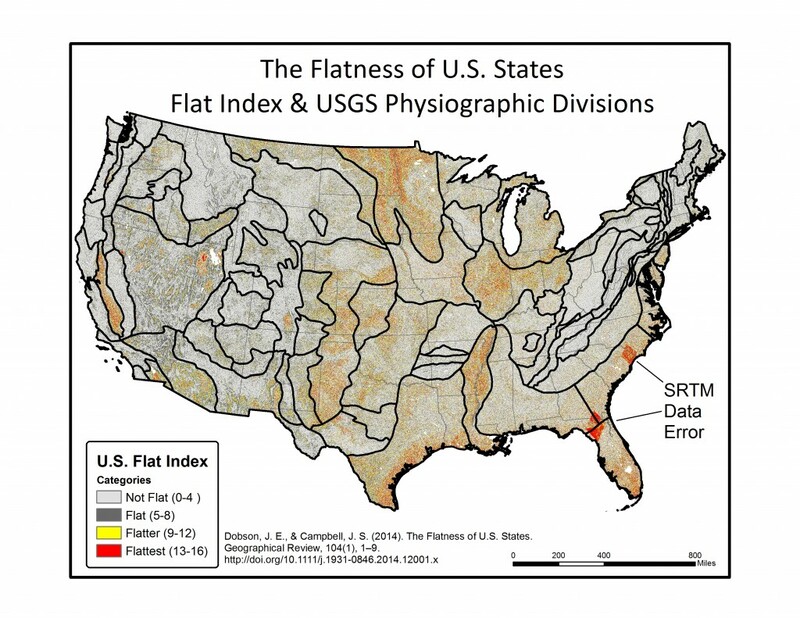 Map shows the Flat Index, a.k.a the “Flat Map”, for the Lower 48 of the United States. 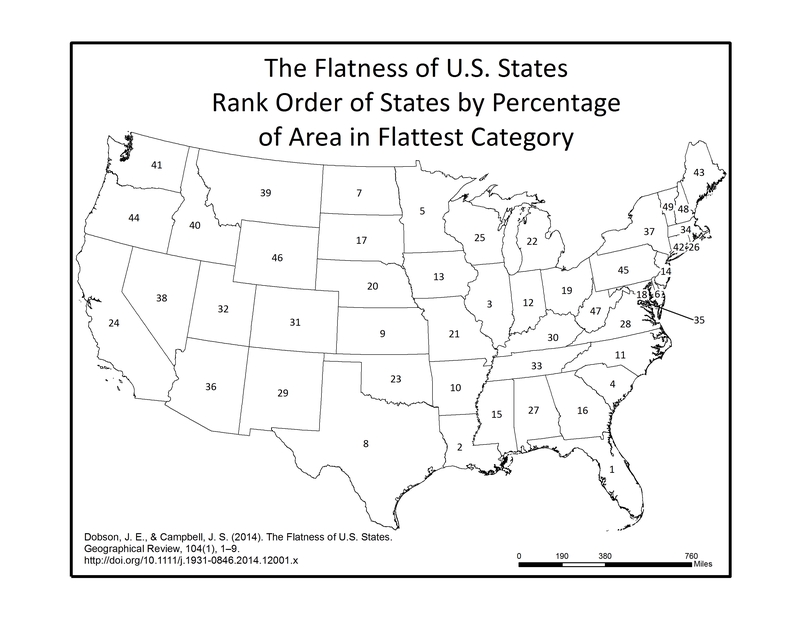 Map displays the Flatter and Flattest Categories of the Flat Index. Useful for visualizing the patterns of flat lands within the continental United States. Rank order of States by the percentage of their area in the Flattest class. As initially thought, Kansas isn’t even close to the flattest. The media response to what Jerry Dobson, my coauthor and PhD advisor, and I refer to as the “Flat Map” took me by surprise. Jerry was always confident it would be well received, but the range of international, national, and regional coverage it received was beyond anything I imagined…and it keeps going. Articles about the Flat Map have been written in The Atlantic, The Guardian, National Geographic, Mental Floss, Smithsonian Magazine, Atlas Obscura, Chicago Tribune, WBEZ 91.5 Chicago Public Radio, Williston Herald, Des Moines Register, Lincoln Journal Star, Hays Daily News, Dodge City Daily Globe, and one of my favorites (just for the headline of the forum post) the WavingTheWheat Forums. It was also cited multiple times in a 2017 book, entitled “Flatness“, which is actually a very interesting review of the pervasiveness of flat objects in human life. As an added bonus, in the spring of 2017 renowned science blogger Vsauce featured the Flat Map in the a video about “How Much of the Earth Can You See at Once” (see video below). With over 4.5M views so far, this has to be most coverage the Flat Map has received. I recommend the entire video, and the Flat Map section begins around the 10:30 mark. 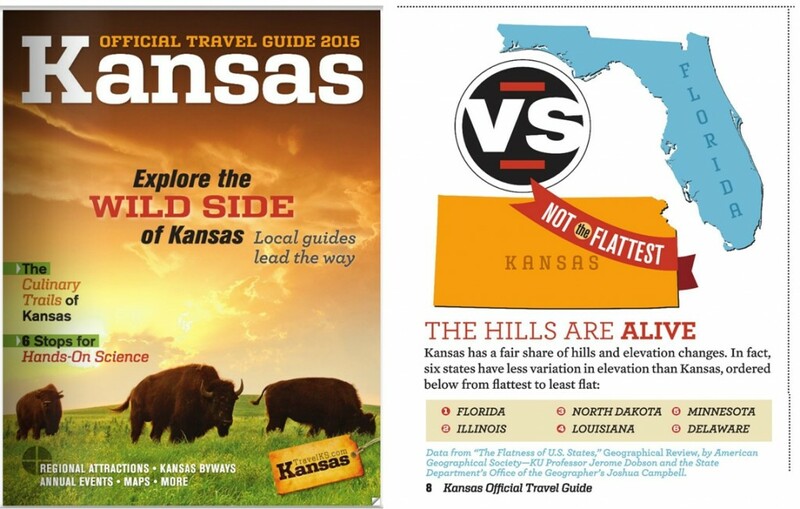 And this little gem from the 2015 Kansas Official Travel Guide…that’s right, the Flat Map made the Tourism Guide. In the very chippy AIR response to the Flat Map, the AIR editors indicate they got a call from the Kansas Director of Tourism. I’ll take this. Does the perception of flatness impact tourism? Seems the State of Kansas is interested in projecting that the Kansas landscape has hills. Map shows the Flat Index for the Lower 48 of the United States overlaid with the boundaries of the USGS Physiographic regions. 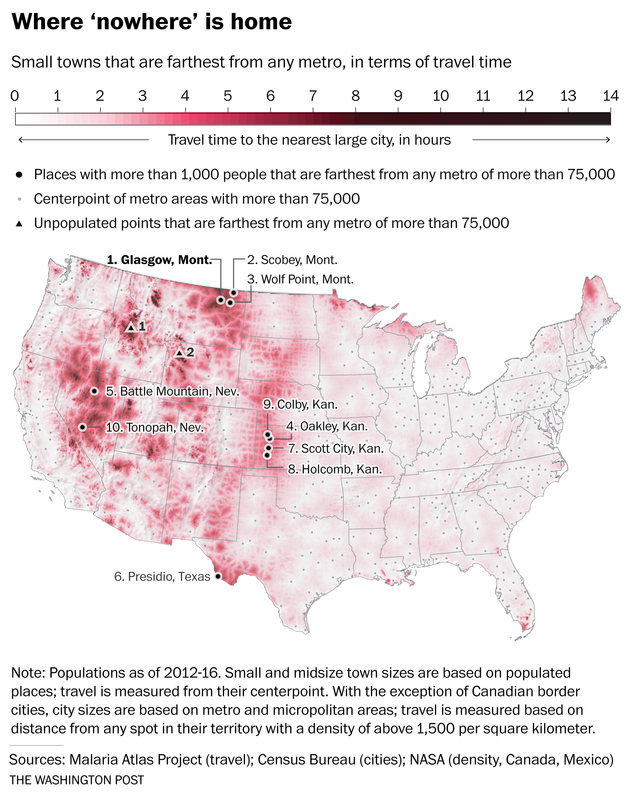 Interesting correlation between flat areas and physiographic boundaries. 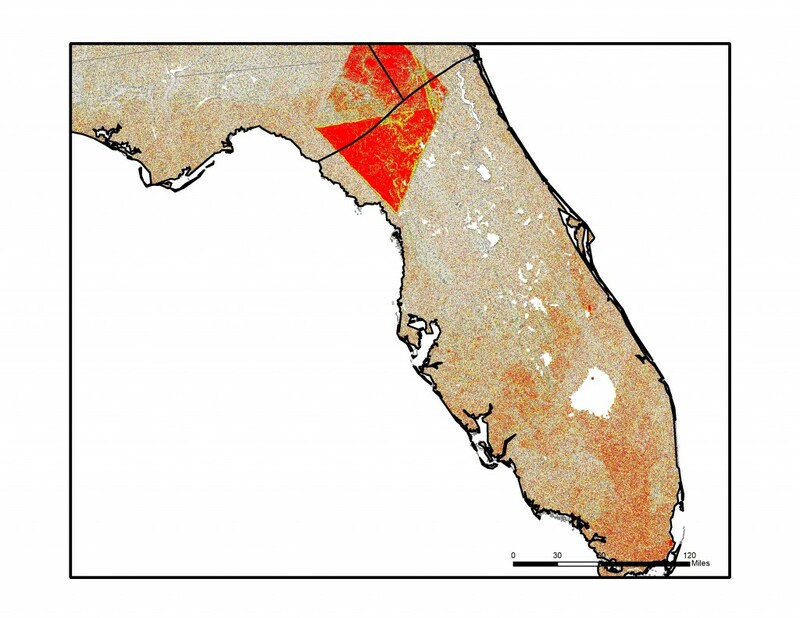 Map displays the Flat Index over Florida, note large areas of flat land in southern half of the state and along the panhandle coast. 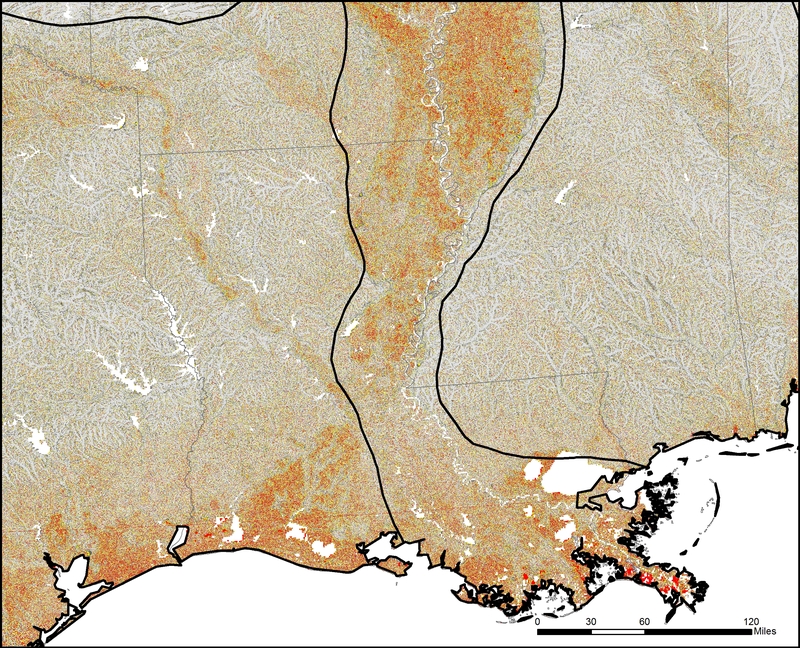 Map shows the Flat Index over Louisiana and the Lower Mississippi Valley. Large areas of flat lands occur within the river valley and along the coastal areas. Map shows the Flat Index over Illinois and Indiana. Note the huge area of Illinois within the Flattest class, the result of glacial outwash geomorphic processes. Map shows the Flat Index over northern Texas and Oklahoma. Note large tracts of flat land in the western High Plains region. Map shows the Flat Index over Kansas. Note large areas of flat land in the western High Plains region and in the central area of the state corresponding to the Arkansas River valley and McPherson-Wellington Lowlands physiographic province. I would like to thank Dr. Jerry Dobson for his efforts on this paper. We worked together conceptualizing “flat” and how to build a novel, terrain-based, and repeatable method for measuring it. It was a long road to get the Flat Map out to the world, and Jerry was a constant source of inspiration and determination to get it published. When I was swamped with work at the State Department, Jerry pushed forward on the write up and talking with the media. In terms of the future, there is much more that can be done here. New distributed raster processing tools (Mr. Geo and GeoTrellis) could rapidly increase processing speeds, and provide an opportunity for using a more refined, multi-scalar approach to flatness. New global elevation datasets are also becoming available, and could potentially reduce the error of the analysis through lower margins of error in forested areas. If I was to do it again, the USGS National Elevation Datasets, particularly at the 30 meter and even 10 meter resolution, would be a great option for the United States. 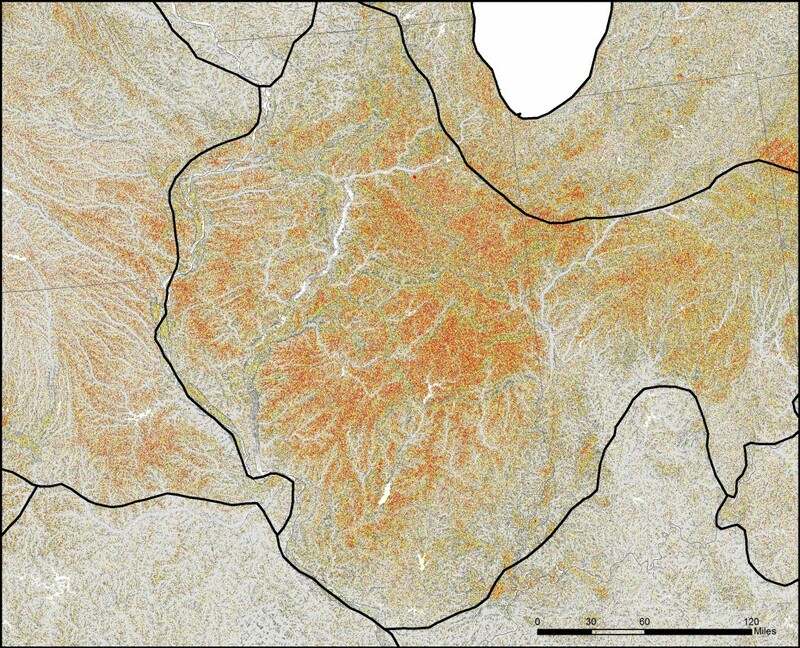 On the perception front, the terrain analysis results could be compared with landcover data to determine how landcover affects perception. Social media polling could also gather a huge amount of place-based data on “Is your location flat?” and “Is your location boring?”. I would also like to get the data hosted on web mapping server somewhere, so people could interact with it directly. A tiled map service and the new Cesium viewer would be a great tool for exploring the data. If anyone is interested in working together, let me know. Below is a pre-publication version of the article submitted to Geographical Review. Please cite the published version for any academic works. Image links to original article. Collectively, this group has a range of skills: finance, acquisitions, program and project management, legal, IT security, HR, software platform development, disaster recovery…and somewhat curiously, two geographers. I’m humbled to have been included on this list, particularly given the accomplishments of the other geographer, Mike Byrne. That said, what I find more intriguing is how two geographers made this list to begin with. What is it about geography that is gaining the attention of management and leadership journalists? Why would they think these are the skills needed on government teams to solve big problems? And why now? Starting with the question of awareness, its clear that digital geography and maps have captured the public’s attention. The combination of freely available Global Positioning System (GPS), ubiquitous data networks, high resolution imagery, increasingly powerful mobile devices, and interoperable web services has fundamentally changed how the average person interacts with maps and geographic data. In the ten years since the introduction of Google Earth, the expectation of the average person is now to have complex, updated, descriptive, interactive maps at their disposal anytime, anywhere, and on any device. This shift is nothing short of revolutionary. And while the glitz of slippy maps and spinning globes has brought the public back to maps, there is more to the story of why geographers are critical elements of multidisciplinary leadership teams. I believe there are two key characteristics that set geographers apart: Information Integration and Problem Solving. The first is the the capacity of the spatial dimension to integrate information across disciplines, and the second is how spatial logic combined with digital tools can predict, analyze, and visualize the impact of a policy decision. Let’s begin with the idea of information integration. At its core, Geography is a spatial science that utilizes a range of qualitative, descriptive, quantitative, technical, and analytical approaches in applications that cross the physical sciences, social sciences, and humanities. It may seem trite to say, but everything happens somewhere, so anything that involves location can be studied from a geographic perspective. Where most disciplines have fairly defined domains of knowledge, Geography, and its focus on the spatial dimension, cuts laterally across these domains. The cross cutting nature of location is the fundamental reason why Geography is in a resurgence. Geographic location provides the mechanism to integrate disparate streams of information. Data that relates to one discipline can be linked to other data simply by its location. As a conceptual framework, Geography is an integrative lens, i.e., what are the forces that interact to define the characteristics of this location, and when combined with Geographic Information Systems (GIS) technology, spatial location acts as the relational key used to link tables of information together in a database. It is this union of mental framework and technology that provides Geography a unique capacity for information integration. However, information is typically aggregated for a purpose, the goal is to solve a problem, find an answer, understand a situation, and Geography offers unique tools for that as well. All problem solving is about breaking a complex problem into divisible, solvable units. For a geographer this starts with the application of spatial logic to the problem; this means when solving a multivariate problem, a geographer will accept the spatial distribution and spatial associations of a phenomenon as primary evidence, and then seek to discover the processes that led to that distribution. This contrasts most disciplines, where process based knowledge on individual characteristics are combined, then tested against the spatial distribution . The elevation of spatial logic over process logic is the key differentiator between a geographer and a domain-specific analyst. Bringing spatial logic into the technological domain relies upon Geographic Information Science (GISc) to provide the conceptual framework, algorithms, and specialized tools needed to analyze data encoded with location information. It is the analytical power of these functions, integrated with the data collection, storage, retrieval and dissemination tools of GIS, that form the toolkit for problem solving used by geographers. Additionally, cartographic visualization provides a mechanism to encode these data and analysis so that complex spatio-temporal relationships can be displayed and quickly understood. 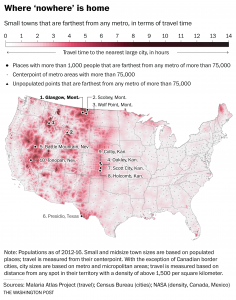 Whether it is data exploration, sense making, or communicating results, displaying geographic data in map form is a tremendous advantage over text. And now with the web, cartography can be interactive, cross-multiple scales, and be dynamic through time. So, why is now the time for geographers? The answer is threefold, first it has to do with the scale and complexity of problems we are facing, second is the amount and variety of information that can be applied to the problems, and third is the maturity of the digital geographic tools. Finding solutions to deal with climate change, energy, sustainable development, disaster risk reduction, and national security will require interdisciplinary approaches that are firmly grounded in the spatial dimension. With the transition to a digital world, society (governments included) finds itself in a state of information overload. In this world where data is plentiful, value shifts from acquiring data to understanding it. Geography as a discipline, and geographers equipped with a new generation of spatial information technology, are well adapted to this new paradigm. If done correctly, the modern geographer has broad academic training across a range of disciplines, uses the spatial perspective as a means of information integration and analysis, and is facile with the digital tools needed to collect, store, analyze, visualize, and disseminate geographic information and analysis. Combine these skills with management and leadership training, and the geographer becomes a portent fusion. One that I think this article correctly identifies as critical to the leadership teams needed to solve big problems.